In his bestselling book, Shop Class as Soulcraft, Matthew Crawford points out that it is rare in today’s world for people to design and build their own things. “What ordinary people once made, they now buy; and what they once fixed for themselves, they now replace entirely,” states Crawford. Crawford goes on to examine the importance of working with one’s hands and how this is a key component of a good life. In addition to being an author and philosopher, Crawford is a motorcycle mechanic in Richmond, Virginia. 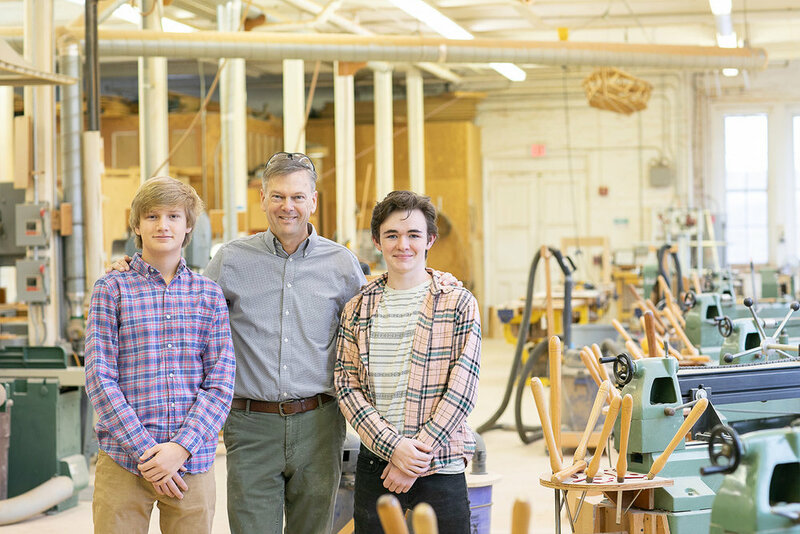 In 2012, Mr. Crawford took a break from repairing vintage BMW motorcycles and visited the Miller School of Albemarle to see firsthand how the values he extols in his book are alive and well in the MSA curriculum. He was impressed by the Design/Build program, Pre-Engineering Track, and bicycle repair shop and even more impressed that these programs are the result of the mission and values of the school. “Mind, Hands, Heart is not a tagline - we live it every day - it's real - it's woven into the fabric of the Miller experience. Hands-on learning provides opportunities for students to really connect and engage with the lesson. It's often difficult to understand something if you do not experience it,” commented Head of School, Michael Drude. In January, this group will be moving into a new office in Richmond, Virginia. The new space with be the hub for the VAIS to continue its mission to advance and advocate for independent school education in the Commonwealth. Currently, the VAIS provides services to 95 independent private schools across the state, and it promotes excellence, growth, and success at each school by providing relevant and rewarding opportunities for connection, collaboration, and leadership. The table that Bryce is building will be the centerpiece in the office’s new kitchen—a place where great ideas will no doubt be generated and explored. The table has been custom designed using Google Sketchup and is being entirely hand built in the MSA woodshop. “Bryce and Gordon have coordinated with the VAIS and designed this table to be a functional stand-up table that is also durable and looks great. He's using mortise and tenon for all the joints,” remarked Design/Build teacher, Al Hason. Coincidently, the new office for the Virginia Association of Independent Schools is located just a few miles from Matthew Crawford’s motorcycle repair shop. 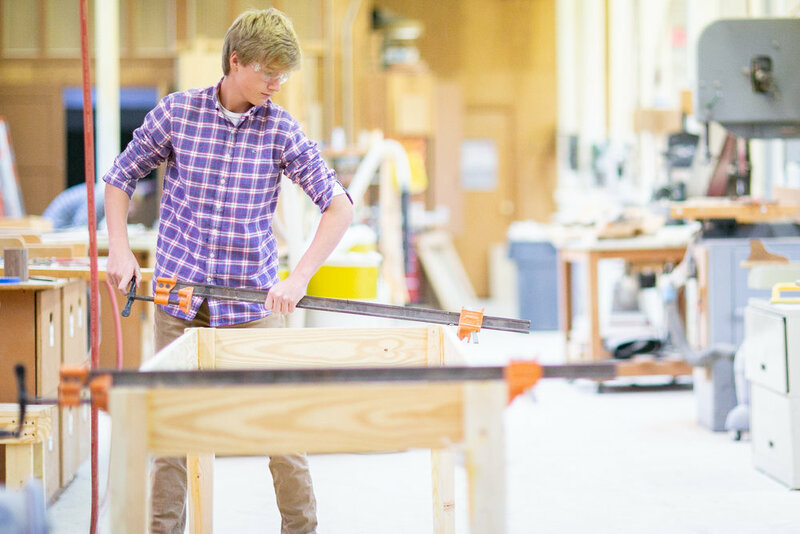 Maybe, he will take a short drive to see that the art of designing and building useful things is still at the heart of MSA’s curriculum and in the heart of the room at the VAIS office.